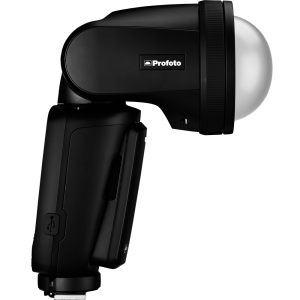 The Profoto A1 is a super-compact, lightweight and portable on or off camera flash that not only looks gorgeous, but produces the same high quality of light that Profoto products have become so well known for. Right off the bat, you’ll notice that the A1 looks quite different from other on-camera flash systems. For one, the flash-head is round instead of the more traditional rectangle shape. Another difference is the user interface on the back of the unit, which features a large high-contrast display as well as larger buttons & control ring. 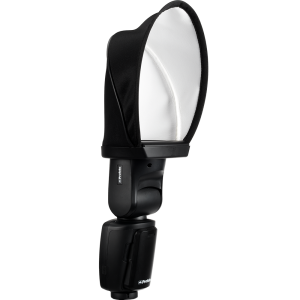 The rim of the flash-head also features a magnetic mount that allows for quick mounting of the various modifiers that are available. 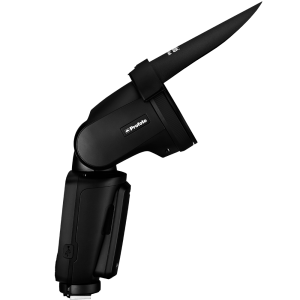 Another feature of note is the A1’s zoom function, which allows for fine adjustments to the spread of light simply by twisting the zoom ring located on the head itself. You can then use the built-in modelling light to see where the light is going to fall before you take the shot. 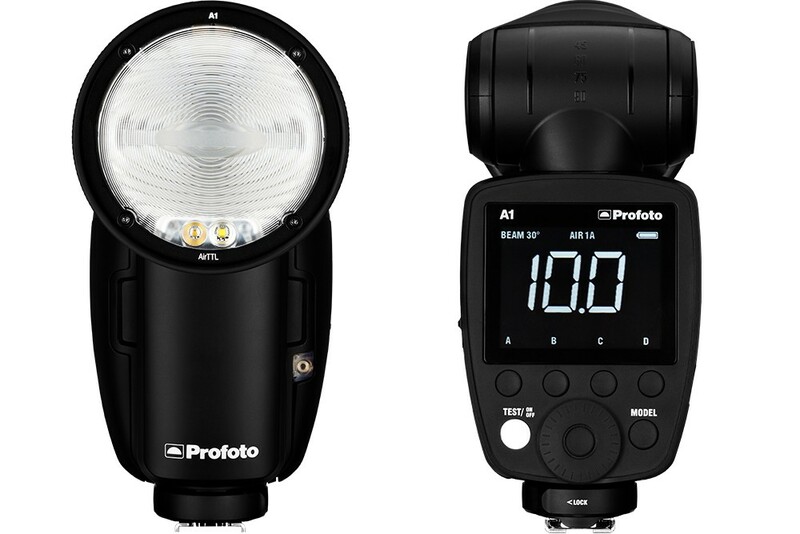 Profoto also says that the A1’s recycle time is four times faster than other comparable on-camera flash systems, with a time of 1.2 seconds at full power. 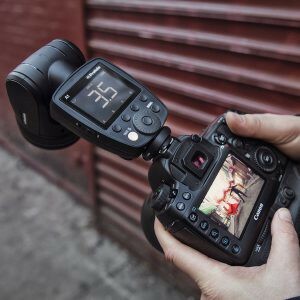 The A1 is more than just an on-camera flash solution. It works equally as well as part of a larger, integrated system of lights thanks to the built-in Air Remote with AirTTL. 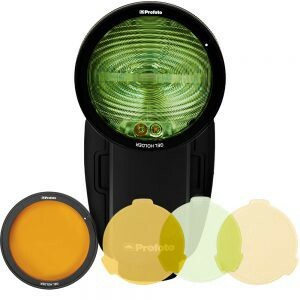 The benefit of this is that it will work seamlessly with other Profoto lights such as the larger B1X system. As mentioned, the magnetic ring makes it incredibly easy to add a variety of light-shaping modifiers to the A1. 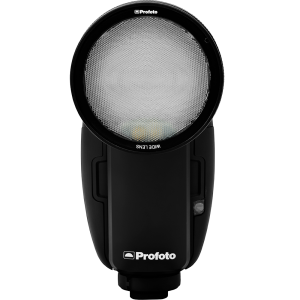 The Profoto A1 is designed with light shaping capabilities; it has a unique round head with a soft, smooth fall-off that makes it easy to create a natural and beautiful light. 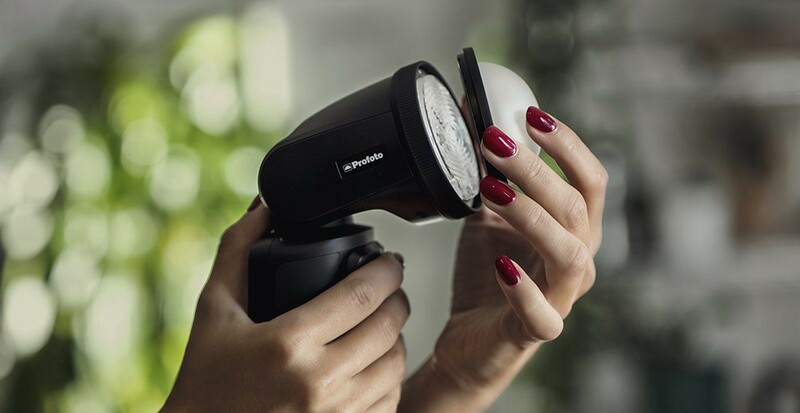 It also includes a smart magnetic mount and three dedicated A1 Light Shaping Tools that click on and off quickly and easily — a Dome Diffuser, Wide Lens and Bounce Card.